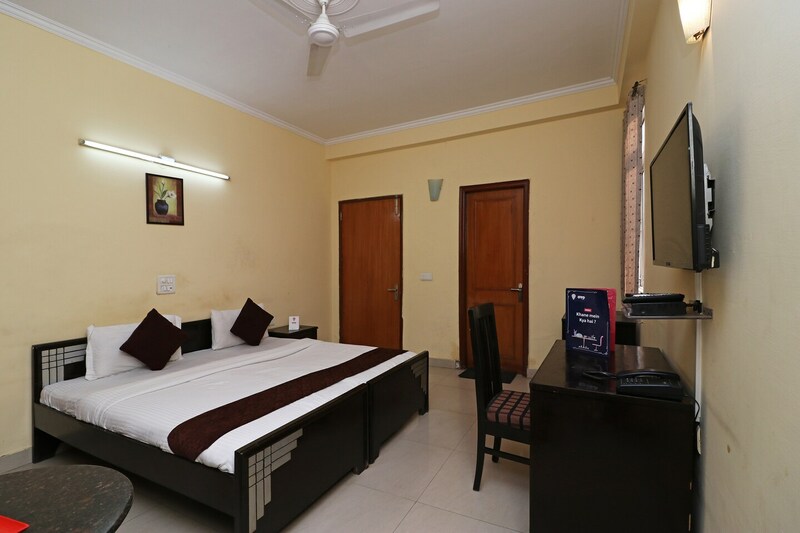 Sector 56 is a stylish and trendy property with cozy and comfortable rooms, located in Sector 56, Gurugram. The property is close to the Tau Devi Lal Park and also near to the Sector 54 Chowk metro station on Golf Course Road. The rooms of Sector 56 have sober and tasteful interiors. The rooms are spacious and well-lit and are painted in light tones. The rooms feature modern wooden furnishings and are nice and clean. The rooms feature a television and an air conditioner while the bathrooms feature a geyser. The hotel offers free Wi-Fi, laundry service, parking facility and CCTV footage coverage to its guests and accepts card payments. You can step out to Golf Course Road, which has several popular eating places and pubs like the Indian Grill Room, Manhattan Brewery, Stryker Pub etc. Some nearby food joints that can be explored are Purani Delhi Express, The 56th Street, Daawat E Kashmir, and Curry Company.